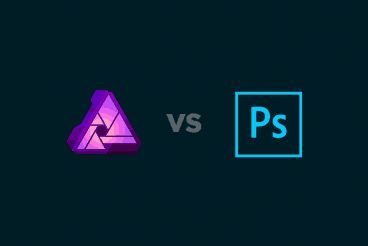 Home Gadgets Affinity Photo vs Photoshop: Should You Switch? Affinity Photo vs Photoshop: Should You Switch? Affinity Photo has been receiving rave reviews from designers and photographers alike, looking for a photo editing software solution that’s not crazy-expensive but has in-demand features. But can it replace Photoshop? While Affinity Photo isn’t super-cheap, you only have to buy the software (and any add-ons you like) just once, making it a somewhat viable option if you don’t like the monthly subscription fees that come with Adobe Photoshop. Affinity Photo, which has desktop and tablet versions available, is a professional photo editing tool. It has all the features – from raw editing to digital painting to batch processing to multi-layered compositions – that you would expect. This is not some lame web app. Affinity Photo is a robust photo tool. It even does some things I didn’t know I needed, such as 360-degree photo editing and professional retouching. The retouching tools are especially nice with brushes such as clone, burn and dodge, but also an inpainting brush, frequency separation capability and liquefy features. Each persona comes with a set of tools made for the task at hand – there are five to choose from – so you can flip from project to project. You can also set the design of the workspace to fit your personal taste as well, with light and dark interfaces to choose from. There are also customizable toolbars and more keyboard shortcuts than you can count. And it’s easy to use. While you do have to spend some time retraining your brain to work with new software, it does work with the files you already have. Affinity Photo lets you important and edit Photoshop files and you can export anything as well. It maintains layers, effects, and adjustments so that the integrity of the design or edits does not break down if the file is opened by users on different software. This can make switching a little easier and prevents some issues with versioning and platforms. All file types also work across all devices and operating systems. One of the things that set Affinity Photo apart from Photoshop is some of the fun app-like tools that are a standard part of the software. Put together multiple images using a stitching algorithm so that you finish with a single stunning panorama. Plus, the software makes everything align and does full perspective corrections so no one will ever know you started with multiple images. One of the limitations of most photo editing tools is that they only work in raster formats; Affinity also allows you to create vector shapes and elements to use within the editor. Merge multiple images at different focal distances for an amazing depth of field. Smart tools adjust alignment – so you don’t have to do it by eye – and helps you figure out the best angles/options to use from your raw photo set. Turn any image into a puddle with a few clicks and brushes that push, twirl, pinch, punch, freeze and thaw in a real-time mesh that helps reimagine images. If you work between multiple devices frequently, this is a nice option. The iPad version even lets you work on native (including PSD) files. For some of us, Photoshop is that old trusty tool that we can’t leave behind. And that’s OK too. Not everyone will want to make the switch to different editing tools. Affinity has its own “suite” with photo and design tools, but not everyone wants to make a complete switch from industry-standard tools. The tablet version is iPad only. And while it is nice; this requires a separate license or download fee. It might be a little too gimmicky if you are just bringing in raw images for a batch edit. While there is batch capability, if you already have an action that works and efficient setup, there’s not a lot of reason to learn new software for repeated tasks. While it seems pretty zippy, Affinity Photo has more lag and slowness than Photoshop for high-powered editing. So, should you make the switch to Affinity Photo from Photoshop? It really comes down to how you work and what features are most important to you. Users who want more app-like tools, fancy editing features and mobility will probably prefer Affinity Photo. High-power raw photo editors or designers working with other Adobe tools, will likely prefer the fluidity of one “suite” of software.